There isn't a shred of doubt that Windows Phone which powers the Nokia Lumia 520, Lumia 620, Lumia 720, Lumia 920 and other Nokia Lumia series of phone, is a laggard in the Apps and games department compared to the giants Apple and Google. Apple Store packs the max number of Apps which Google is slowly but surely clawing to be the future number one in the Apps and Games space. But that doesn't mean the Windows Phone doesn't have good Apps on its store. It has nice Apps on its store which are free and pretty useful. I am listing 5 of the top Apps which I think you should have on your Nokia Lumia smart phones, not because they are free but because they are worth it. Flashlight XT : This App requires no intro. A rather simple App with simple switch which lets you turn the LED Flashlight on and off. In the publishers own word, its elegant and simple. You can use the Flashlight XT in Screenlight mode. The best feature of the App is its ability to turn on the flashlight even if your smart phone is switched off by just clicking the camera button. Do download this Ad free App which is a must have. Oxford Dictionary : This App to requires no formal intro. Oxford rather speaks for itself. 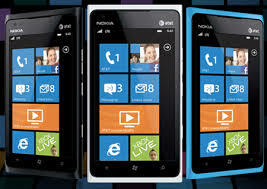 You should download this must have App for your Nokia Lumia. Lumia Clock : This nifty little App gives you different clock faces in different colours. It is much of trendy App but a must have one. Skype : This is one of the must have Apps on your Lumia device. It lets you make free calls, free text messages and plenty of free things. Skype is a all important App so if you dont already have it download it now. Be sure to have a unlimited data plan while using Skype. YouTube Downloader : Last but not the least, this is a pretty useful App which lets you download your favourite videos from YouTube directly to your Lumia Phone. With this app you can browse YouTube and when you are on the page of the desired video you can download it as MP4 360p HQ or MP4 720p HD video. Downloaded videos can be found and played/deleted in the application's "downloaded files". You can also add links to these files in Music+Videos hub. If you like the Apps do comment in. I recently came across a link to Nokia’s new developers program which goes by the name of DVLUP.. Have anybody else heard of it?